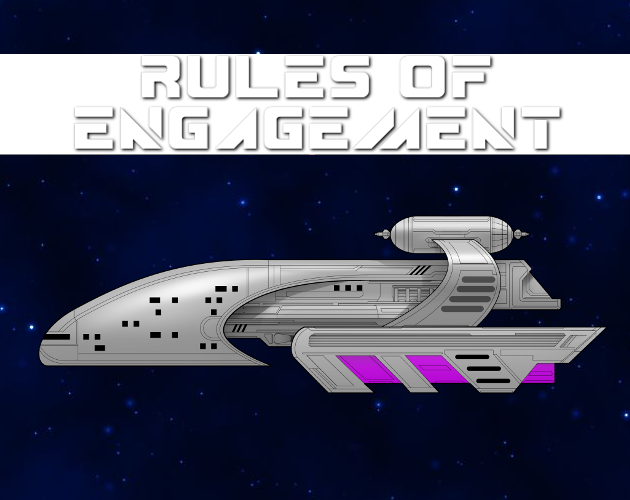 Rules of Engagement community · Posted in Original Missions Import? The game is 100% compatible with the DOS version. You can move the .mis mission files right over. The other database files such as the solar system, captain, and ship files are also compatible. When you install and run the game for the first time, the data files are uncompressed and go into %appdata%\rules\data. From there you can trade the missions you make or bring in your legacy files. itch.io Community » itch.io » Questions, Ideas & Feedback · Replied to No Time To Play in Why are none of my projects showing up in search? A classic game from 1991, Rules of Engagement lives again on modern systems. Licenced from Omnitrend Software, ROE has been ported from DOS as native Windows app. It has once again been brought to life as a hidden gem. Have you ever wanted to take a starship into battle, with you hands gliding over the the touch screen console? If your system supports it, the game can now be played on a real touchscreen as well. Under the hood is a fully equipped starship battle simulator, with communications, navigation, tactical, damage control and more . From your flagship, you can command a whole fleet. Each craft is helmed by their own captain, with their own personalities and desires. Some may not be so quick to rush into battle, others may not quite listen when you ask them to disengage. Built in editors are abound! You can make (and share) you own missions, with custom aliens, ship load-outs, and fleet configurations. A needed improvement of the old game is the inclusion of a high resolution theme system. (Available in the Demo as well). If there is a particular look you want your starship touch interface to have, more power to you. Themes can also be shared. Feel free to give the demo a spin. Feedback is always welcome. itch.io Community » itch.io » Questions, Ideas & Feedback · Posted in Why are none of my projects showing up in search? I’m having the same issue too. Is there a turn around with how long getting into search takes?